Many people tend to believe that calluses and corns are the same thing. However, they are not and there are simple ways to distinguish them. After all, there are many differences between corn and callus. When you need to deal with either callus, corns, or both, you may assume that this is a bad thing. However, calluses and corns are the way your body has to react to an unwanted pressure or friction that can occur from either physical activity or from improperly fitting shoes. Discover the best ways to get rid of calluses and corns. Simply put, whenever the extreme friction or pressure occurs, your body starts to build some thick deposits of dead skin cells. And the only reason why your body does this is to protect the already affected area from further irritation and pain. While both callus and corns are a type of keratosis, they are not the same thing. So, what’s the difference between corn and callus? Corns are almost always linked to your toes. They are most often developed between toes or near the bony area of a toe. They are a build-up of hard skin, they’re usually round, and they tend to be discolored or waxy. One of the things that can lead to corns frequently is when you wear shoes without socks. Corns are not all the same. There are soft corns and hard corns. Usually, soft corns tend to be the ones that develop between the toes and they usually remain soft. 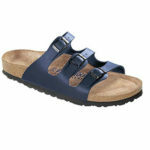 This is only because of the sweat that is kept between your toes and that keeps them moist all the time. While these corns don’t tend to bother you a lot, you need to make sure that you remove them as soon as you notice them because they may get infected. On the other hand, hard corns tend to develop on the outer side of your little toe or at the top of your smaller toes. After all, this is where most poorly fitted shoes tend to rub most. When you notice that you have a corn, one of the things that you should never do is to remove them using a scissor, a razor, a knife, or any other sharp object. However, you can use a pumice stone, an emery board, among others, to remove the built-up tissue. Discover how to take care of your corns. The truth is that calluses are also a build-up of hard skin. 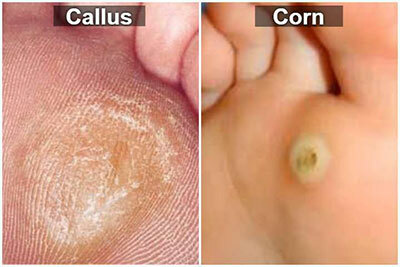 However, the main difference between corn and callus is that the last one tends to form on the underside of your foot. While most people tend to think that calluses are just normal, the truth is that they can be caused by shoes that don’t actually fit you well. When you have a callus and want to remove it, one of the best natural ways is to use a pumice stone. After you take a shower or a warm bath, use the pumice stone to remove all the dead skin. As you can see, there is a clear difference between corn and callus. Nevertheless, the main cause of their development tends to be the same: you wear shoes that don’t fit you well. So, one of the best things you can do to prevent both corns and calluses is to carefully choose good shoes and make sure that you always wear socks. 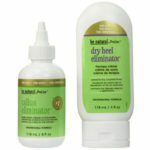 After all, they will be able to wick away perspiration and keep your feet dry. Finally distinguish a callus from a corn. READ Are Calluses Good For You?